The wait is over for fans throughout the galaxy. The launch date for tickets to Rogue One: A Star Wars Story in IMAX is finally here. This is your one-stop spot for details about advance tickets, 70mm screenings, and in-theatre giveaways. Scroll down for more info about everything you need to know about going Rogue in IMAX. Advance tickets will be available on Monday, November, 28th starting at 12:01am EST. Enthusiasts from all over the galaxy will be mindful of this epic event, so mark your galactic calendars. 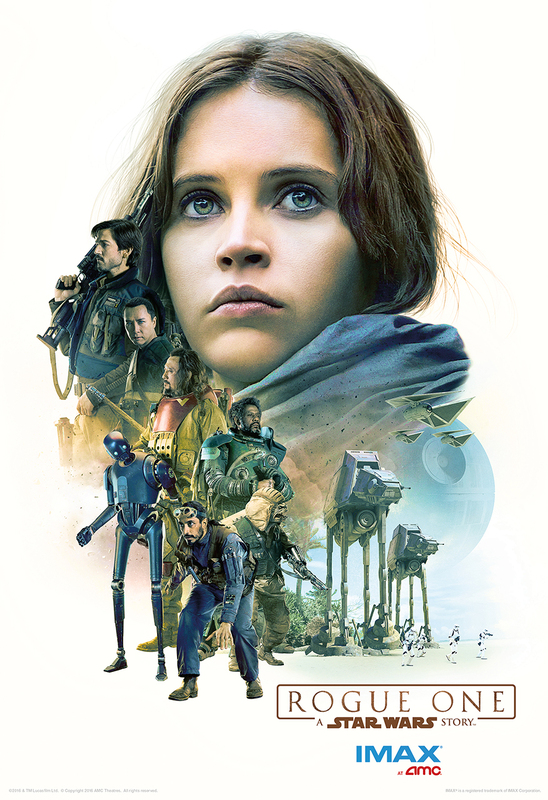 To view showtimes for Rogue One: A Star Wars Story CLICK HERE. Keep checking back as showtimes continue to populate. The following theatres will be playing Rogue One: A Star Wars Story in IMAX 2D on IMAX 70mm projection (please note this list is subject to change). 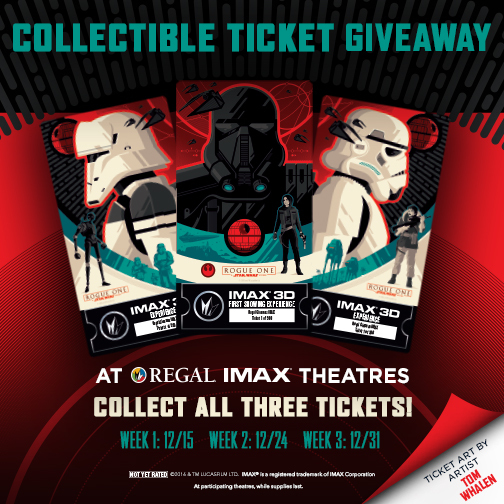 If you see Rogue One: A Star Wars Story at a Regal IMAX theatre you’ll receive one of these collector’s tickets. These tickets will be given out to Regal IMAX ticketholders on 12/15, 12/24 & 12/31. Collect all three to form one, epic megaticket! 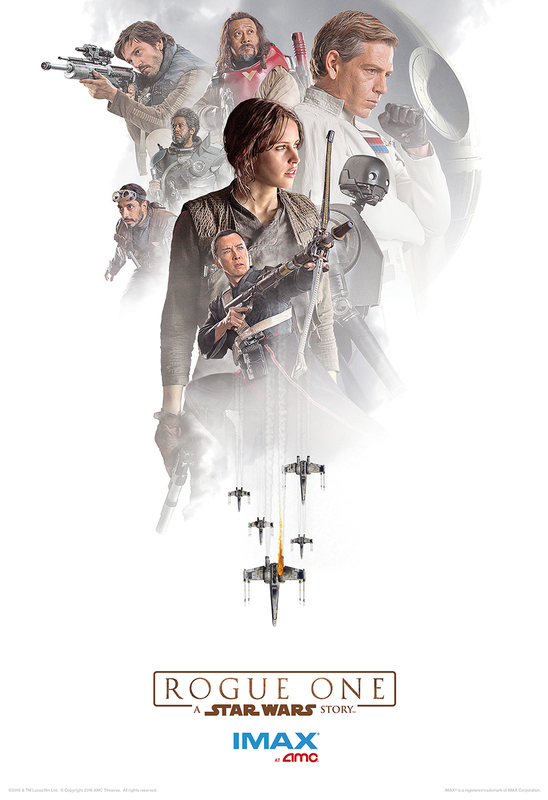 Cadets who go rogue in IMAX at an AMC theatre on 12/18, 12/25, or 1/1 will get one of these awesome mini posters. 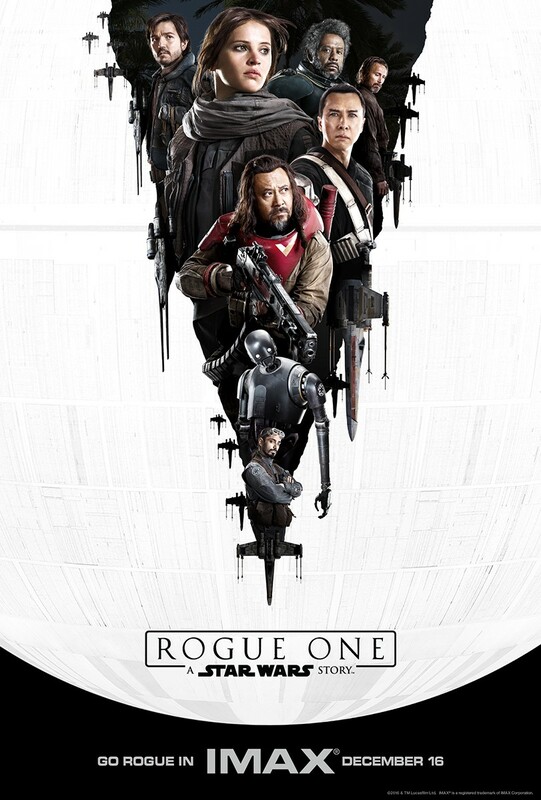 If you attend a showing in IMAX anywhere else on opening night, you’ll get this poster featuring IMAX exclusive art! Attendees at IMAX theatres worldwide will receive mini posters. Check with your local theatre for giveaway details. ALL GIVEAWAYS ARE WHILE SUPPLIES LAST AND ARE ONLY AVAILABLE AT PARTICIPATING THEATRES. PLEASE CONTACT YOUR LOCAL IMAX FOR MORE INFO. 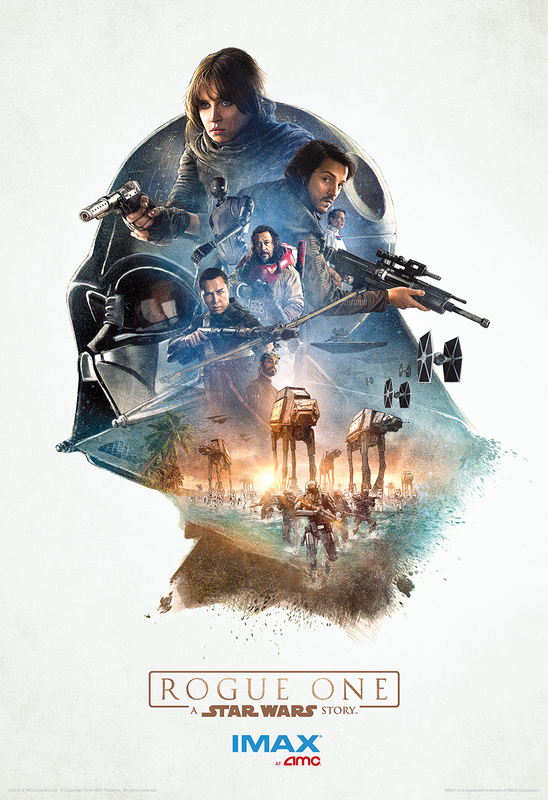 …and don’t forget to get tickets on Monday, November 28th to Rogue One: A Star Wars Story in IMAX, HERE.